High scientific standards, independence, and political relevance are the main benchmarks for our work. Our research results are meant to drive the economic policy debate. They serve to stimulate discussion and exchange among experts and socially relevant groups and contribute to creating a basis for political decisions. DIW Berlin stands out for the wide spectrum of its research areas and its commitment to interdisciplinarity. 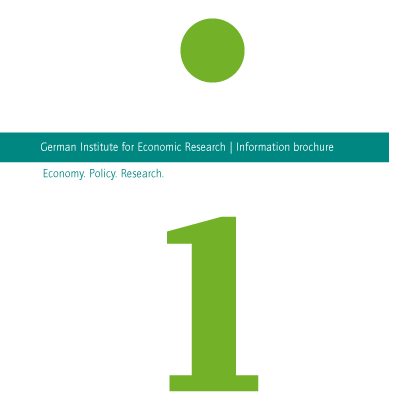 It also has first-rate access to empirical data, as exemplified by its Socio-Economic Panel (SOEP) – one of the world’s best data sources on the socio-economic situation in Germany. 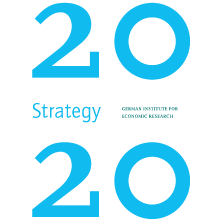 Headquartered in Berlin, we are well positioned to stay on top of political discussion and decision-making. In that context we also make a point of keeping our research independent of political, content-based, or commercial interests. an extensive international research network. Applied economic and social research depends on extensive communication. We present our research results in our own and in external publications and at workshops, symposia, and colloquia. Moreover, as we also want to reach the public at large, we engage in substantial media and public relations work. There is a compact portrait of the DIW Berlin on a 8-page flyer. A web version is ready for Downloading | PDF, 203.21 KB . Detailed information on how to visit us.